The Academy of Motion Picture Arts and Sciences recently hosted its annual 88th Academy Awards recognizing excellence in filmmaking. From the performances onscreen to the technical prowess behind the scenes, and of course, the fashion critics on the red carpet, this year’s honorees seemed to demonstrate how technology is helping bring the brilliant ideas from creative visionaries in filmmaking to fruition. Bringing Ava to life is a prime example of continued innovation in computer-generated imagery (CGI) and involved a mix of powerful, modern Dell technology. The team at Double Negative used a range of solutions, including Dell Precision workstations, Dell PowerEdge M1000 blade servers and Dell PowerVault MD storage. Our Dell Precision workstations are purpose-built inside and out for the high performance, customization, reliability and certification that filmmakers need to manage massive and critical workflows, like major motion pictures. Dell has been powering the media and entertainment industry for decades, and we’ve enjoyed working closely with VFX studios over the years to deliver the right solutions they need to enhance the experience for moviegoers. In addition to the CGI advancements of today, we’re also working with studios for the filmmaking needs of the future. 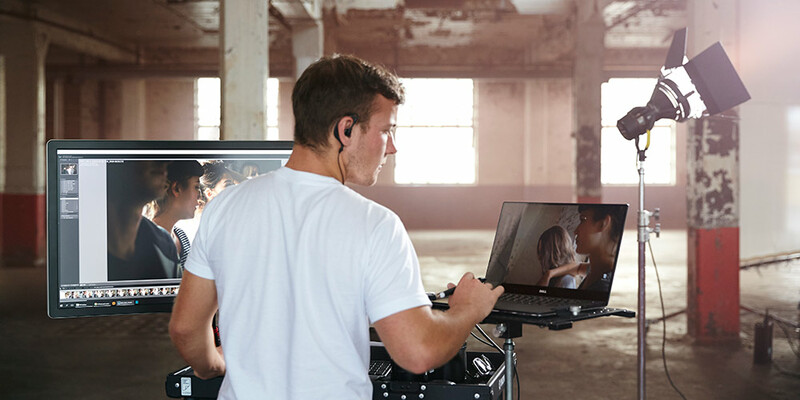 Dell supports projects and movie making of all kinds, from major blockbusters to independent films, and enable filmmakers to bring great stories to life. Last fall, we partnered with the Austin Film Society to introduce the first-ever AFS Powered by Dell Grant to award funding and technology to independent filmmakers from Texas. We also partnered with actor Adrian Grenier, Dell’s Social Good Advocate, on a documentary film contest to create inspiring stories on the circular economy movement and the role of technology in creating a better future. We use our partnerships, activities and events to showcase the power of Dell technology in filmmaking and to drive positive impact on film society and culture. It is our passion to design and deliver solutions that can meet the demands of some of the most creative professionals in the world. So if that’s you and you want to learn more about how we can supercharge your creativity, check us out on YouTube or see the latest solutions online.